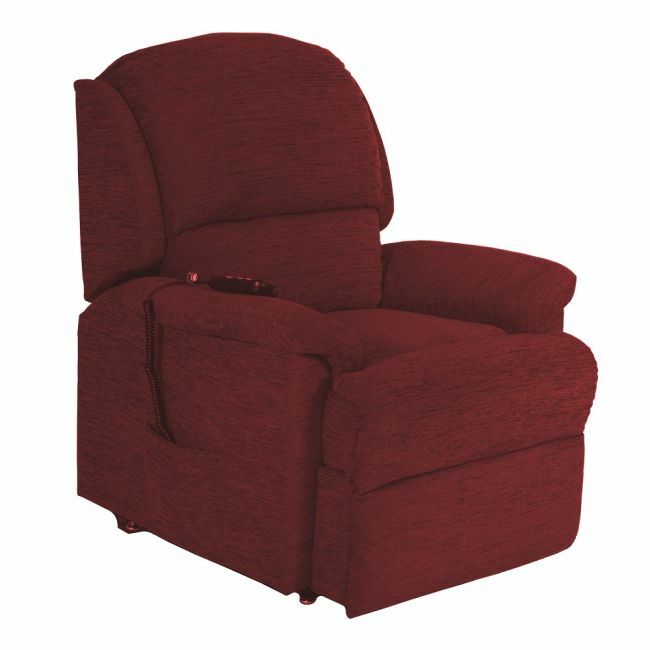 Lean into the pillow top backrest on one of the firmer mobility riser recliner chairs. The Pride CL800 is an electric riser recliner chair for the elderly that gives extra support to improve your posture without sacrificing comfort – ultimately helping to lessen your back or arthritis pain. Opt for Burgundy, Ocean Blue or Turf coloured fabric. Back Width: 86.5cm / 34.1"
Seat to Floor: 53.5cm / 21.1"
Top of Back to Seat: 58.5cm / 23.0"
Seat Depth: 56cm / 22.0"
Seat Width: 46cm / 18.1"